This week I’ve been busy improving and refreshing all my patterns. When I started writing these patterns I didn’t have a good logo yet and did not use the sketches as more than just the sketch. Later I decided to make the sketches in colour and to add them to the patterns. 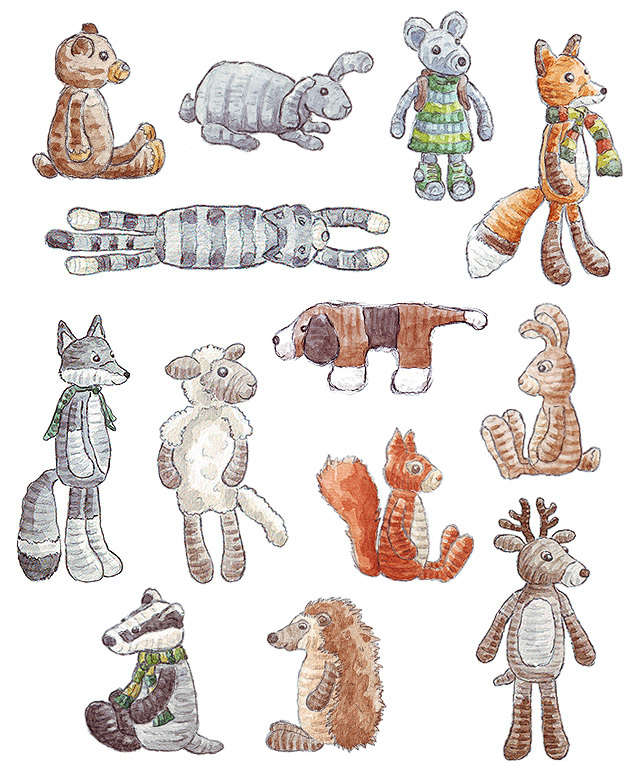 Also, the more animals I designed, the more complete the patterns became. Because I think good quality patterns are very important, the old versions were good, but the new ones just better(looking), I decided to give all my patterns the same layout. I also changed my Son’s Popkes name logo a bit, because I noticed some people couldn’t read it. And that is very important! I’m glad I’m finished now with refreshing the patterns, it was a lot of work and not much fun to do. 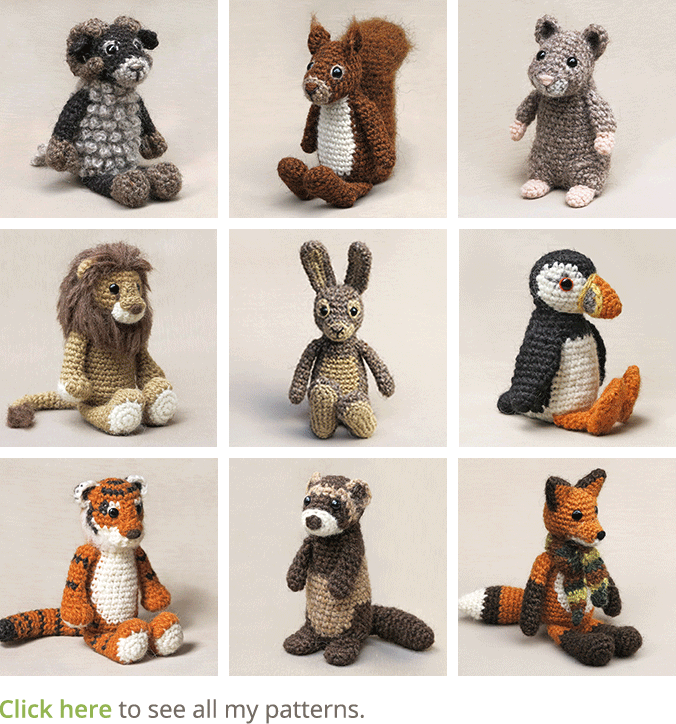 Everyone who’ve bought a pattern, will get an email from either Craftsy or Ravelry with a new and free download link for the improved version. It really looks better and I’m very happy with the result. Here’s another image to show all the sketches that are now appearing in the patterns. Haha, Son’s Popkes! 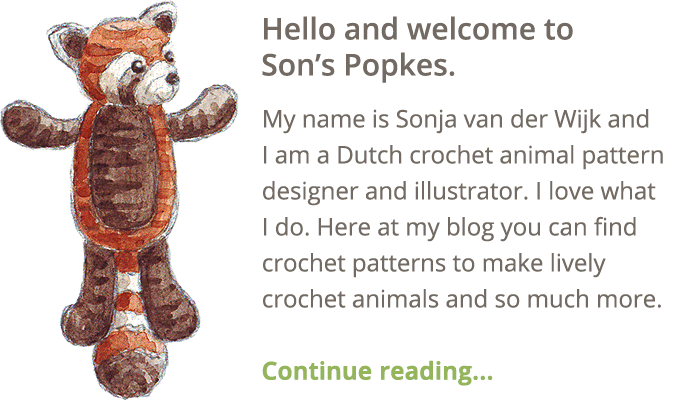 Thanks for all your support and I hope you like the improved patterns. 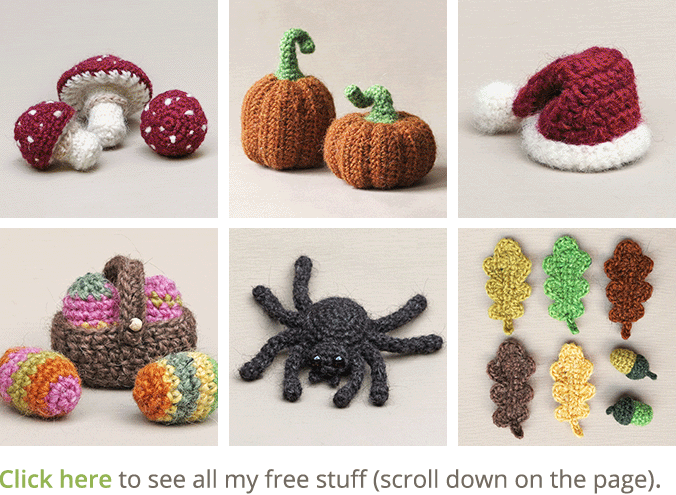 If you’ve bought a pattern directly from me and want a new version, please let me know!